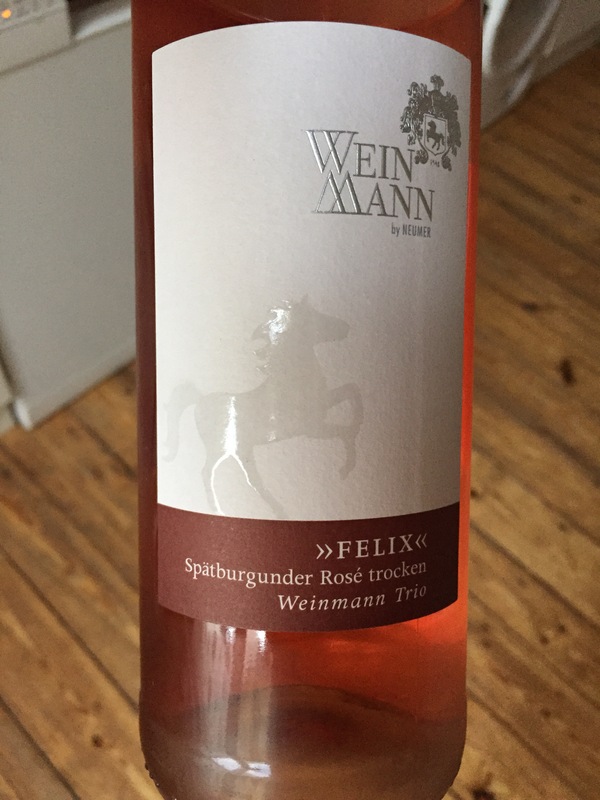 Nach zwei Jahren erneut der »Felix« von Jacob Neumer: Ein Spätburgunder Rosé 2014 trocken, mit 12,5%, schön fruchtig mit feinen Erdbeeraromen. Das Etikett ist neu gestaltet, der Wein sehr ansprechend und ein leichter Sommerwein. 6,90 € ist ein fairer Preis. Erworben habe ich die Flasche in der empfehlenswerten Weinhandlung »Traubenblut«. The world loves rosé in summer. And why not? It’s pretty, refreshing and carefree in the best possible way. Yet the public’s easy embrace of rosé often means an uncritical acceptance of anything in pink. As with all genres of wine, the mediocre is far more plentiful than the good, which is fine if all you want is something chilled, pink and alcoholic. But if you love wine and care about what you drink, you can raise your rosé game by seeking out wines that are made with integrity and care. They cost more, yes, $20 to $45, with the occasional even more expensive outlier. But what you get are wines that not only dazzle and refresh, but also welcome contemplation, if you’re in the mood. You would not want to serve these in plastic cups at a lawn party, but they would be perfect with an outdoor dinner. Your cookout guests may even do double-takes before asking for another glass. Diese Plädoyer für den guten Rosé ist sicher berechtigt, und ein richtiger Wein ist mehr als “anything in pink”. Doch unsere Winzer bieten gute Standardqualitäten weit jenseits überseeischer Plastik-Rosés für deutlich unter 20$, finde ich. Dieser Beitrag wurde unter Kulinarisches, Rosé, Wein abgelegt und mit Deutschland, Sommer, Wein verschlagwortet. Setze ein Lesezeichen auf den Permalink.